Growing your own cannabis is a rewarding experience, and not just because of the product that results from it. Growing your own cannabis is a rewarding experience, and not just because of the product that results from it. If you're looking for some motivation to start your own marijuana garden, here we list ten reasons you should grow your own cannabis. 1. You'll save money growing your own cannabis. You can start growing cannabis with a budget of any size, and the cost difference between buying cannabis flowers outright vs. growing them yourself is often substantial. Most plants produce about an ounce of cannabis flowers (after drying/curing) and with a controlled indoor growing system you can manage several successful crops each year. 2. Growing your own cannabis lets you choose which strains you consume. 3. You have (almost) complete control over the growing conditions and environment. Even if you buy cannabis from a dispensary you trust, there's no guarantee about how the products you buy are cultivated. By growing your own marijuana, you choose which kinds of pesticides and fertilizers you use on your cannabis plants, or you can raise an organic crop if you want. 4. 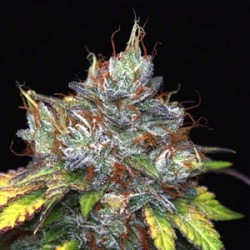 You get a chance to experiment with growing methods when you cultivate your own marijuana. 5. Raising your own cannabis gives you a better understanding and appreciation for the plants and what it takes to grow them. 6. It's easier to grow your own cannabis than ever before (especially if you invest in an automated indoor gardening system) and there are many reliable resources available to novice cannabis cultivators. 7. It's a lot of fun, and it may inspire you to take up gardening of other plants as a hobby as well. 8. Growing your own marijuana helps make sure you're always well-stocked. 9. It's finally legal to grow your own, at least in some places. As of this writing, several states (and Washington DC) allow adults to cultivate a limited number of marijuana plants for personal consumption, so if you're lucky enough to live in one of these areas you should exercise your right to do so. 10. You get access to parts of the cannabis plant that are usually trimmed away (leaves, stems, and seeds) before being sold.